The World Igbo Congress (WIC) has urged the Federal Government and governors of the South East states to open up on the whereabouts of leader of the Indigenous Peoples of Biafra (IPOB), Nnamdi Kanu. This is coming on the heels of the group’s concern over the attack on Kanu’s residence in Umuahia, Abia State and his subsequent disappearance. The group, which frowned at government’s posture in the matter, said in a statement by the group’s Public Relations Officer, Basil Onwukwe, that government’s silence on the matter for over three months after the incidence was worrisome. “The only statement from the Federal and state governments were the proscription of IPOB by the Ebonyi State governor, David Umahi on behalf of the South East governors and a pronouncement by the Nigerian Army that Kanu’s IPOB was a terrorist group. “It is public knowledge that the Nigerian Army, 82nd Division, attacked Kanu’s residence, allegedly killing more than 100 unarmed citizens and left bullet ripped walls and shattered windows. “We also know that soldiers jumped fences into Kanu’s compound. 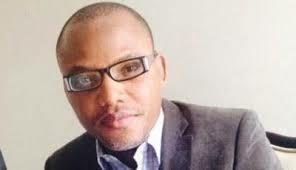 Kanu and his parents were all in the residence at the time of Nigeria Army’s invasion. Video tapes of mass burial by the Nigeria Army of their victims during the Python Dance II are still in public domain,” the statement reads. It further noted that Kanu and his IPOB movement were not armed, and had never been armed, adding that the Army operation was not necessary. The Army, he insisted has a Military Police unit designed for suspected rebellious soldiers but did not consider this option either. “Failure to use either of these forces strongly suggests that the Federal Government did not intend to arrest Kanu for questioning. Their intent was clearly to assassinate him. “Armored vehicles are used in military combat operations between foreign entities upon declaration of war. It is fair to state that Kanu and his parents may have all perished in the attack,” the congress added. It noted that Ndigbo in the Diaspora, other Nigerians and the entire world were entitled to accurate information on the Nigerian Army attack on Kanu’s residence.